In 2010 a new Youtube video was posted by a Call of Duty player. That video was titled “Dr DisRespect Gaming: The Docs 1st Video” and was posted by you guessed it Dr Disrespect. 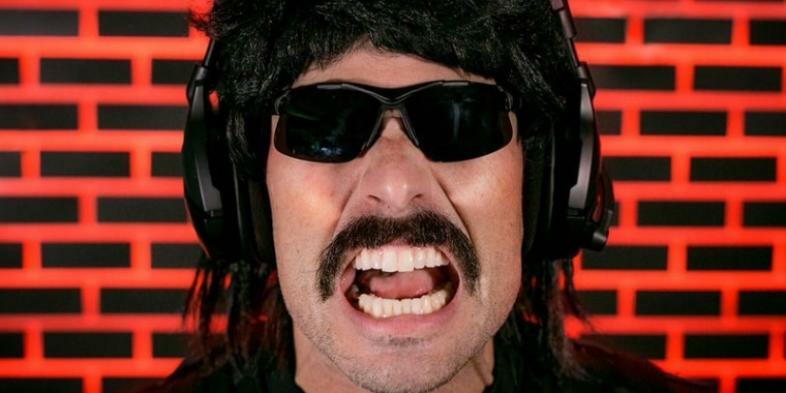 The Doc continued to post various videos in the realm of Call of Duty until he became one of the most popular Twitch streamers. Doc has been, and still is, one of the most popular streamers for PlayerUnknown’s Battlegrounds (PUBG), H1Z1, and Fortnite. In 2017 things were going extremely well for Doc, rising his fame and streamers by an unprecedented amount, even winning the 2017 Esports Industry Award for streamer of the year. However, things could not have ended worse for the award winning streamer. If you look at his list of videos you will see an unusually large gap this past December and January. It turns out Doc was being very disrespectful…to his wife. In a live Twitch stream Dr Disrespect, A.K.A. Guy Beahm, shamefully admitted to cheating on his wife. The mustache was real and so were the tears as Doc could not hold back the emotions when admitting to his fans what he had done to his wife and their daughter. It is not confirmed how many women Doc had an affair with. One of the consistent allegations is that Doc disrespected with 4 women, but again that is not confirmed. One of the alleged women is fellow streamer, DJ, and model Craysounds (Cheney Ray). There’s also a Youtube video (1:49:20) allegedly showing Doc and Craysounds “flirting”, but again unconfirmed and perhaps making a mountain out of a mole hill from an amateur video. The Doc revealed his plan to his followers that he was going to try and rebuild what he had broken down and to take time away from Twitch and focus on his family. For the rest of December and all of January Doc was rebuilding his family, but something else was building in the distance…the anticipation for Doc’s return. The day that Twitch streamers marked their calendar was Feb 5th, 2018. That was the fateful day that Doc would make his comeback stream. After over a month of no streaming the Twitch audience was chomping at the bit to see the mustached “face of Twitch” back in action. According to Twitch Stats Doc came in at 365,132 peak viewers on his comeback stream, which is still debated if that broke the Twitch record of 387,000, set by loltyler1’s comeback in January of this year. However, that is all a moot point with Ninja and rapper Drake reportedly peaking at over 600,000 viewers during their Fortnite duos session. Even still the comeback for Doc was a success. His most loyal fans showed a lot of love and support for their favorite streamer. Doc raked in about another 16 – 17 thousand subscribers his first day back and had donations up to $5,000 coming in at the cyclic rate. Later in the stream Doc responded to a pointed question about how things were going with his wife, in which he likened it to a rollercoaster ride. There is also a Youtube Video of Doc showing that he and his wife have seemingly patched things with him kissing her hand and dancing as part of his stream over a week after his comeback. As far as a reason why Doc did this in the first place is probably going to stay with him for a while, although we probably can guess that fame and what comes with it can get the better of people. But one thing that we know for sure is that Dr Disrespect is back and more popular than ever.